Are you feeling a little adventurous? Want to discover the Great Smoky Mountains in a more laid-back manner? How about a horseback ride through Cades Cove? Cades Cove Riding Stables is the only authorized riding stable to explore the Great Smoky Mountain National Park. Discover the wilderness of Tennessee off the beaten paths and the natural wonders of the area. You just might even observe frolicking deer, a sleeping bear or a variety of animals native to the area. Cades Cove Riding Stables specializes in guided tours for your entire family. You choose the tour that best suits your needs. 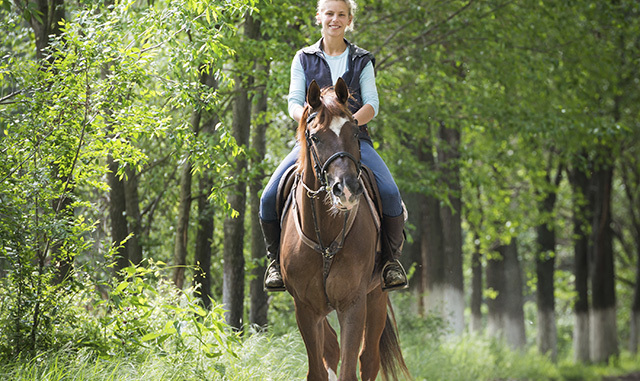 Skilled and first-timers can ride your own horse through the guided trails through the Tennessee wilderness. Sit back, relax and enjoy the expedition through the trails in the comfort of your very own horse-driven carriage. If you have a larger group, the hayride might be the best option. It is a great way to explore Cades Loop and the surrounding early farming communities. The horses at Cades Cove have been expertly trained to safely carry you down the pathways. Tour guides are extremely knowledgeable and tell you all the history and beautiful things to look for while on your ride. Make your reservations for the ride of your life in the Great Smoky Mountains at Cades Cove Riding Stables. After your ride through the mountains, you will want to relax in the comforts of your room at the Ramada Pigeon Forge. Maybe, a swim in the indoor heated swimming pool will soothe the sore muscles. Then, you can kick back in your comfortable room and enjoy the large flat-screen TV’s or complimentary Wi-Fi. Wake up to a complimentary buffet breakfast before you start the next day’s adventure in the Great Smoky Mountains.